I grew up as an overweight kid. I was always tired and had very little energy to do anything. As I got older, I knew I had to make some changes. I was in Junior High School and decided to go out for the football team. The coaches told me I had great potential but I needed to get stronger and drop some weight if I wanted to make first team defense. I decided to check out the weight room and start lifting. After a few weeks, I started seeing my body change and my strength levels increasing rapidly. I kept lifting and added some cardio to burn off the fat. I ended up making first team defensive tackle that year and played all through high school. At the end of high school, I was weighing in at about 230 pounds. As a defensive lineman in high school, I needed to pack on the size to be able to go up against those massive 300 pound monsters on the offensive line. 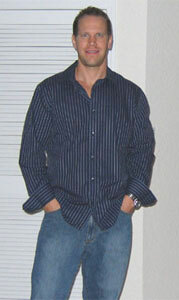 At 5’11” and 230 pounds, I was big and strong but was carrying around a significant amount of fat. After football season ended, I wanted to burn off some excess pounds and focus on more of a lean, athletic physique. I decided to really focus on my diet. I went on a very strict nutritional regimen. I cut out all empty calories from my diet (fast food, sweets, soda, etc.) and really focused on only eating clean nutrient dense foods. I kept up my intense weight lifting workouts and increased my cardio workouts to 45-60 minutes everyday to burn off excess fat. It really came down to hitting it from all angles. Clean food to fuel my body, weight training to build muscle and cardio to burn fat. Out of these three elements, my diet was probably the most important aspect which helped change my physique. When I decided to be very disciplined with the foods I consumed, the changes were incredible. I have always been a food person with a huge appetite. Back in the day, I would indulge in everything from greasy fast food to decadent desserts. My portion control was nonexistent. The most challenging thing for me was adhering to a strict nutritional plan and cutting out most of my favorite “comfort” foods. I learned early on that these comfort foods were triggers and would instantly affect my appetite and the way I felt. If I had a tiny piece of dessert or some fast food, it would trigger my hunger and it was almost impossible to back down from eating more and more. I decided to eliminate all empty calories and only focus on clean fuel for my body. Within about 2 weeks, my tastes started changing and my craving went way down. Once my habits and routines started to change, my focus was on preparing healthy, nutrient dense foods all the time. I still get craving now but I decide to choose healthier foods to eat. If I crave sweets, I will eat frozen grapes (amazing). If I’m craving something salty, I will have a bag of fat-free microwave popcorn. Choosing these healthier alternatives have cut down a huge amount on my overall calories and they still leave me feeling satisfied. Within about 2 weeks of weight training, I started feeling my strength levels go way up. My energy was through the roof and I couldn’t wait to get back in the gym to train. When I added cardio workouts and a clean diet to my overall fitness plan, the changes were incredible. To this day, I can still see changes in my physique over the course a week or two when my nutritional plan is on. When I tighten up my diet and really focus on nutrient dense foods, the changes start showing up in a matter of days. Unfortunately, this can go the other way also. If I take a few weeks off and cheat on my diet, the changes are very apparent. My body really wants clean fuel to run optimally and when I consume empty calories, the mirror doesn’t lie. I have always found it fascinating that with small changes in specific foods and training routines, one can make noticeable changes in their physique. It took about 6 months of strict training and diet to reach my current weight. I have maintained my weight for over 10 years now. I do it by simply following the same principles which got me here. A clean diet, intense weight training and cardio work. All of these 3 elements are crucial for me to keep improving. If 1 aspect starts to drop, I can easily see my improvements start to decline. If I take a few weeks off and slack on my cardio training and go off my diet a little, the changes are apparent. This is what drives me to keep improving everyday. Everything is different now. Since losing 50 pounds of fat, I feel much more athletic now. I have an overall sense of well-being that I never experienced when I was heavier. I have so much more energy and I sleep better also. My mind is much clearer and I can sharply concentrate throughout the entire day without feeling mentally cloudy, which I used to feel when I was eating empty calories (sweets, fast foods, etc.). Well, ShapeFit.com is really a labor of love. I created this website to help other people learn more about health and fitness so they can get into shape and live healthier lives. I took the aspects I learned over many years and added these elements to ShapeFit.com to help others. 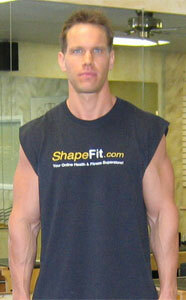 When I first created ShapeFit.com back in 2000, I started out very slowly and added a few pages of content every week. Then I decided to add a couple of pages every single day. 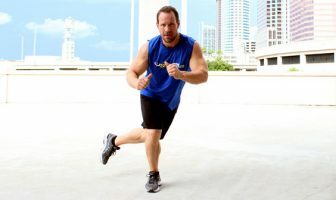 I kept up this routine and today ShapeFit.com provides over 10,000 pages of free health and fitness content to over 1 million visitors every month! This has been one of the most rewarding things I have ever done. To be able to share my passion with the world and help thousands of people everyday is something that is very special. It’s never too late to start. No matter how much you’re currently overweight or how out of shape you are, you can ALWAYS start making changes and improve your life! It all starts now. Forget about yesterday and focus all your energy into making smart choices to live a healthier life. Today is truly the first day of the rest of your life! Realize that food is a very powerful drug. You can use it to make yourself very sick or you can decide to use it to optimally fuel and energize your body! Research different foods and learn about the multitude of ways nutrient dense foods positively impact your body. Knowledge is power and learning how and what you’re eating is vitally important! Eat 5-6 small nutrient dense meals every day. This should consist of clean, nutritious foods to optimally fuel your body. Include a lean protein source in each meal which will help repair and build muscle tissue. Make sure to optimize your pre-workout and post-workout meals to maximize the windows of opportunity. Be very conscious when you eat. 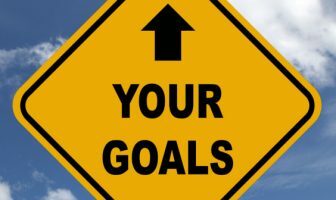 When you sit down to eat a meal, ask yourself if this food is helping you reach your goals or is it setting you back. So many people simply eat without thinking about what they are putting into their bodies. They consume food almost unconsciously and shovel it into their face. Relax and truly enjoy every bite of food you have prepared for yourself. Pre-plan your meals. This is crucial for succeeding. If you don’t have a plan, it will be very difficult to choose the right foods to attain your ideal physique. Keep nutrient dense foods and snacks at your home, in your car and especially at work. Put a box of protein bars in the office fridge or have a bag of mixed nuts at your desk so you will have quick access to these quality food choices when you’re hungry. Preparing meals early also really helps. Try cooking all your week’s meals on Sunday night and prepare them in small Tupperware containers. Although this is extra work, it will pay off huge in the long run. You will have instant access to healthy prepared meals and you can take the guesswork out of finding nutrient dense foods to eat. Kris’s Weight Loss Eating Plan! 1 cup of organic steel cut oatmeal, 2 scoops of whey protein powder, 1 tbs of flaxseed oil. 8 ounces of broiled chicken breast, 1/2 boiled sweet potato, 2 cups of steamed broccoli, small green salad. 8 ounces of broiled wild salmon, 2 cups of veggie stir fry with 1 tbs of extra virgin olive oil, small green salad. Protein bars, protein shakes, almonds, walnuts, nonfat yogurt, frozen grapes, black beans, air popped popcorn, hummus, nonfat cottage cheese, soy chips, apples. I do cardio workouts 4-5 times per week for 30-45 minutes per session. I like jogging, jumping rope, mountain biking, sprints and the elliptical machine.